Cryptocurrencies currently suffer one major drawback – what some have referred to as the Kansas Mom Conundrum. According to the Kansas Mom test, if a regular stay-at-home parent who has other priorities – the pressures that come with raising children whilst juggling the responsibilities of managing a household and a restricted budget – cannot neither find the time nor the energy to invest in learning a new application that could otherwise bring genuine benefit to their daily travails, then that application is likely to fall by the wayside. The Kansas mom phenomenon is the reason that Bitcoin – or indeed any cryptocurrency – is not as yet a mass phenomenon. Learning the core concepts of cryptos – the nature of private and public keys, key management with wallet software, effectuating transfers between wallets and exchanges, etc – any honest assessment will conclude that, frankly, the entry-barrier is much too high right now for the 99+% of people on this planet who do not have the same technical, ideological or Lambo-induced motivaitions as the rest of us to take an interest in crypto or crypto-based technologies. It is into this fray that has now stepped Andreas Antonopolous, the original author of Mastering Bitcoin which introduced Bitcoin to a wider audience of developers back in 2014. However, whilst Mastering Bitcoin democratised understanding of the Bitcoin protocol within the development community, its impact on Bitcoin adoption more generally – by the likes of Kansas mom – was essentially non-zero. The reason is simple: Bitcoin is limited to Bitcoin which forms a complete circle with itself, and the choice is whether you want to be in that circle or not – which brings us back to our techies, libertarians and Lamborghini hopefuls. With Ethereum, however, a project which has set its remit much higher, the objective is much different: to act as a public API which grants any third party application the ability to leverage the security and the transparency offered by blockchain technology for its own purposes, whatever they happen to be, provided they can be expressed through the medium of smart contracts. The idea was revolutionary but it came with one drawback – the documentation for Ethereum, written for developers by developers, suffered from that very same fact. Developers are notorious for creating documentation which does little to help understanding of the technology they build and everything to obsure it. The phenomenon is known as the Curse of Knowledge which the vast majority developers have been a proud pioneer of. Developers, it turns out, make for extremely dubious pedagogues. There are exceptions, however. And notable among these is Antonopolous himself who has now published – after a series of postponements due to his own relentless speaking schedule as a Blockchain advocate – the much-awaited and long-overdue Mastering Ethereum, published by O’Reilly. I once spoke at the London Blockchain Summit with an Italian developer, an ICO which was setting out to create a platform which converted popular video streaming protocols to other streaming protocols. The idea was for implementing a P2P service which rewarded users for contributing processing power to the work required for the conversions themselves, and who then received payment in the form of the platform’s native token as a recompense for doing so. With the release of Mastering Ethereum, – a new wave of developers is about to enter into the blockchain arena over the next few years which could see – perhaps at some stage over the next decade – the blockchain bring to the world its own equivalent of what WordPress has been to web development more generally: a highly intuitive user interface that allows its users to create all manner of fit-for-purpose websites using nothing more than the point-and-click technology that serves as the basis of hundreds of thousands of successful businesses worldwide. Once the ability to exploit blockchain tech has been removed from the hands of dedicated experts who have invested years in understanding its inner workings to those who need only a few hours to set up their own blockchain-baed solutions, and less than a few minutes for those who serve as end users, then and only then will the question of mass adoption be addressed. 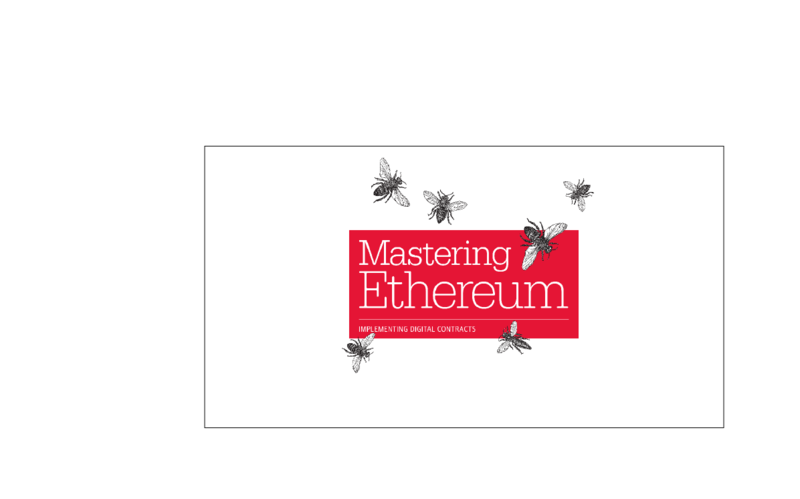 And with Mastering Ethereum, Antonopolous has taken us one step closer in that regard.